Imagine yourself riding through the Great Rann of Katchh (रण) on a motorcycle. You will wonder why did the almighty nature create this strange thing called desert. The answer will dawn on you sooner or later as you dig deep in the desert land. You might not see human beings but the place has a population of several thousand migrant Cranes, and birds of different sorts coming to absorb the eternal silence prevailing in the Rann of Katchh. Witnessing the phenomena of Chir Batti is something one would not like to miss, just imagine colorful lights dancing in the desert, ten to twenty feet above the land, with no scientific explanation attached to them. Chir Batti, simply speaking, means dancing “Ghost Lights”. Not so long ago we saw a Bajaj advertisement that talked about a village where common spoken language is Sanskrit. 283 kilometers away from Bangalore at the intersection of NH-204 and NH-13 near the historic city of Shimoga, the cultural capital of the state. No wonder they all speak Sanskrit fluently. Surprisingly, that’s not the only village; Hoshalli village situated on the banks of Tunga River also shares the similar qualities. A Sanskrit breakfast sounds interesting, isn’t it? The old ghost town of Dhanushkodi in Tamilnadu has an eerie silence around it. It is a village where no one lives, the whole village was destroyed in 1960s in a Tsunami and since then it has remained a mystery for the visiting tourists and the Indian Navy. Breathtaking beauty, the nearest telephone about 20 km away, out of reach of mobile signals and the feeling of being in a place which was once alive, now reduced to rubble, makes it a place truly less travelled. And standing at the tip of India is a pretty heady feeling! In case you have not yet stepped foot on the foreign waters, Srilanka is just 13 kms away from here. The war of Kalinga would have troubled you because remembering the names and dates was never an easy task and history, as a subject demanded that. What about switching to audio-visual mode to learn history? All you need to do is to travel across Orissa, formerly known as Kalinga, where the popular king Ashok denounced his lust for power. Ride a few hundred kilometers up north and you will reach a place, which does not look like a part of this country; neither is treated as one by the media and the government. Sikkim, Nagaland, Assam, Arunachal Pradesh, all these states are pretty much Indian and believe me unless you go there, you will not realize what the whole nation has missed by not knowing about these states. Bihar, Jharkhand, and Chattisgarh are three states popular for bad reasons, Naxalism being the worst of them. Ironically, the best and forgotten story of our nation is buried somewhere in these states. India’s scientific and educational history is synonym with Viashali, Gaya, Nalanda, Bastar. Almost every village and town in the aforementioned states has something to say about India’s glorious past. Riding though these states might not make you a wise man but we can always hope for the best. Put all these pieces together, from the holy hills of Himachal to the lonely lands of the Dhanushkodi, not to forget the express-ways, the national highways, and unpaved roads and you will get a mystically colored picture of the great Indian nation. That’s what we plan to do, ride across the nation on a motorcycle before we become too old to live the dream. 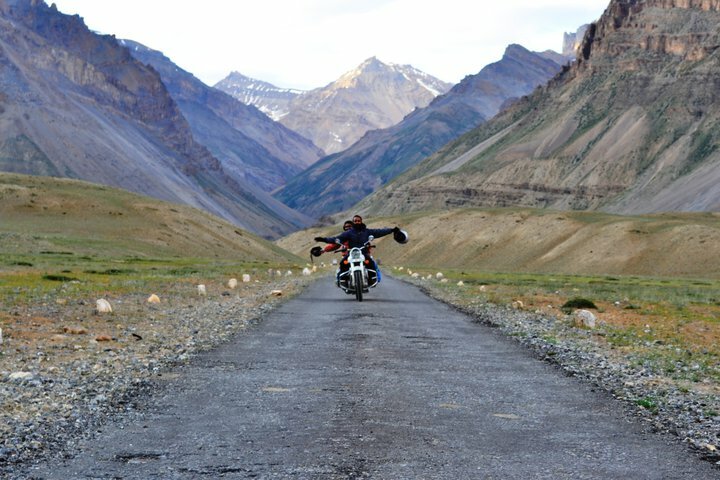 Gear up for an adventurous ride, it’s time to take a leap of faith. From the Northern Corner of India to every possible corner on every possible side, North, West, South, and East included. Good luck, be safe & enjoy this trip of a lifetime!! !